Nowadays, we only need to see some people doing good, and our faith in humanity will restore. Such people who are selfless make us believe that there are still good people out there. Well, we have one such case today. A couple of people came together and thought up of a humane and dignified way to bond the people who have nothing with those people who have too much with one idea. 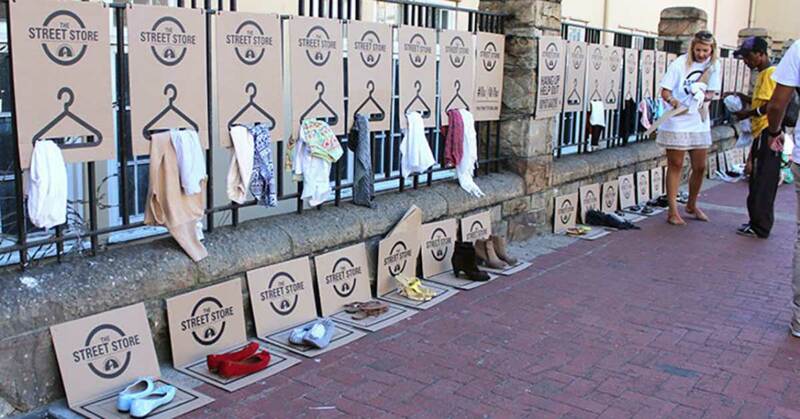 The idea was “The Street Store,” a charity which donates clothes to the homeless. It’s a building free, rent-free, pop-up clothing store which gives clothing away to those who need it, for free. The founders of Street Store are Max Pazak and copywriter Kayli Vee Levitan of M&C Saatchi Abel. To them, the inspiration came one day as they were standing on the balcony at their office looking down and seeing all the people below. Their offices are located in a very trendy are Green Point, but in this place, there are also many homeless people. They saw how the “have-not” and “haves” cross each other’s paths on the streets, but not really meet. Those people who have fear the homeless and tend to get upset with their begging, so they ignore them. This behavior dehumanizes the homeless since they see the “haves” as dollar signs and not people. This vicious cycle tends to separate these two types of worlds and people. That circle of degradation which homeless people face daily is the one that the Street Store wants to shatter. They made a fresh approach to solve this on-going dilemma since they understood that the conventional methods of charity aren’t inspiring. 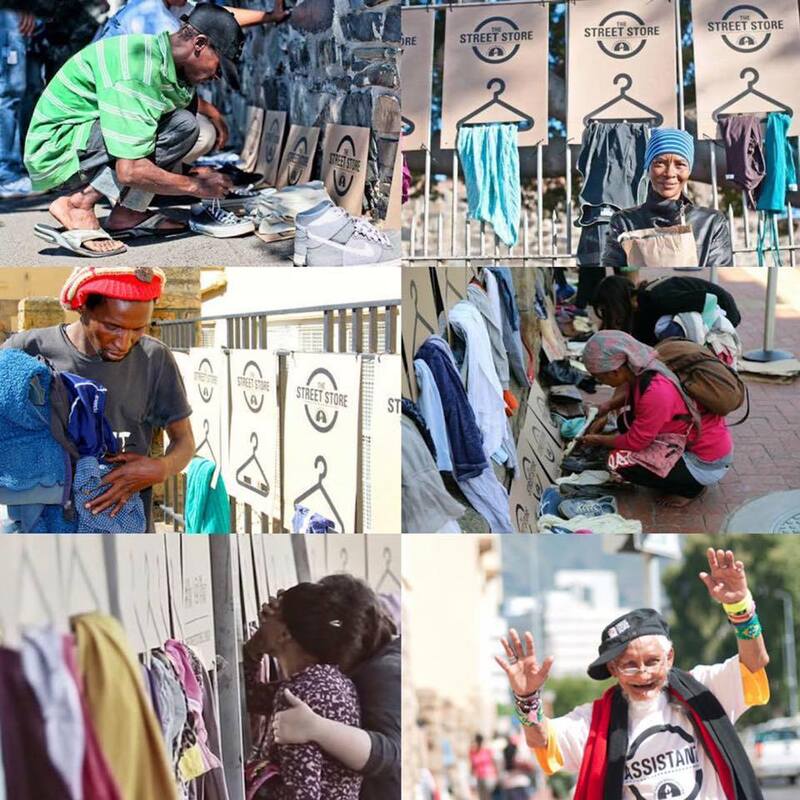 The first Street Store launched in January 2014 in Cape Town, South Africa. Levitan remembers the day because it was a success. All the donated clothes were hung up individually on for the homeless people to see through the garments and not have to dig in bins. Many volunteers were there to help people pick their clothing. That day they gave away exactly 1,000 bags of clothing. Ever since then the pop-up, rent-free charity has been held in different cities around the world. Thanks to the minimal nature of its construction it is escalating progress. This store can appear anywhere in the world all it needs is some pieces of cardboard and a couple of volunteers. Once all the clothes have been taken, and the shop should close then the cardboard posters are picked and recycled, and they leave no trace of the store. Starting this is easy. First, you must access the start-up guide of the Street Store and follow the instructions. According to the recommendations whoever decides to open this shop should collaborate with a local organization or a homeless shelter since there is need of volunteers to administrate the event. Furthermore, open-source poster designs might be downloaded, then printed and assembled, you can find them on TheStreetStore.org. The poster designs can serve as placemats and hangers to hold clothing donations. Understand that this store can open anywhere where there is a need but in public space since it can be the easiest way to associate the homeless to the city. There needs to be a big fence at the location in order to hang the posters. “We just want The Street Store to continue growing around the world. We are continually adding new languages and assisting people globally to make their dream of hosting a Street Store come to life. Since 14 January 2014, more than 500 stores have popped up in 200+ cities – we’d like this number to continue growing… forever.” – Levitan.